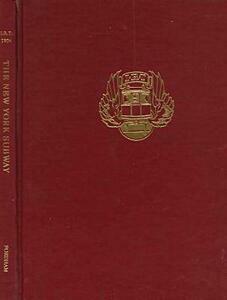 This is a complete facsimile of the 1904 edition originally published by the Interborough Rapid Transit Company to commemorate the opening of New York's first subway line. From the perspective of both urban history and the history of transportation, this book is an important primary source. Building the city's first subway in the early years of the twentieth century required delicate collaboration between public and private interests and called for the expenditure of considerable sums of both public and private money. The book introduces us to Abram S. Hewitt, a late nineteenth-century mayor of New York City. It was Hewitt who realized that, while private capital alone had been perfectly adequate for building elevated rapid transit lines in New York as early as the 1870s, the more costly construction of underground rapid transit lines was far beyond the ability of private corporations to finance. Hewitt set in motion a chain of events that sanctioned the use of public funds for subway construction, with the completed facility then to be leased to a private company for day-to-day operation. The private firm that emerged, both to build and to operate the first subway in New York, was called the Interborough Rapid Transit Company, a name that would later be rendered more crisply as the IRT. The City of New York and the Interborough Rapid transit Company inaugurated service over the city's first subway line on Thursday afternoon, October 27, 1904. Mayor George B. McClellan, son of the Civil War general, took the controls of the first ceremonial train at City Hall Station in downtown Manhattan and headed north. In one way or another, the subway has been going ever since. The book also presents important tabular and statistical information, as well as clear and concise narrative descriptions of technical details.